The Wonder Years Complete Series has Just hit are Desk here @Soreelflix thanks to Mill Creek Entertainment. The Boxset was released by Timelife and now is available on Amazon at a way cheaper Price then before. The Set right Now goes for $55 but if you’re a Collector, the Original Set with Locker and a ton more extras can be had for $300 @Timelife.com or if you want the Signed Copy its $500 if Your Baller Status. For Me this Set will do just fine as it has a ton of Extras on the Discs. The First Season is on Two discs while the other five season run on 5 Discs. More Disc info will be posted below. The Set is on DVD and most likely wont see a Blu-Ray Upgrade as you can’t upgrade the quality to that level due the TV Series being filmed on 16mm Tape. The Picture and Sound Quality are OK just about the same when you viewed this show on Tube TV in the 80’s and 90’s. With that said the set still could be remastered for a Tad bit better performance. I could not compare if a Stream of an episode would view better online as Netflix No longer has this available and is not available to stream anywhere. From what I’ve read it looked a Little bit better but who Knows. For what it is, it still works and is in OK PQ viewing Pleasures. The same can go with the Sound Quality for this set. Overall thee Set is a Great buy for those who want to own and or view the Show. The Price is at its lowest and is worth the investment for fans due to all the extras including a booklet for each season. Throw it on your Christmas List, relaxed and let the nostalgia kick in as you get your Fred Savage on. For those who never seen the show it kind of has that A Christmas Story Feel, You know the Movie the plays on repeat on Christmas day for 24 Hours on TBS every year. With that said I give this set a 4 out of 5. For me the PQ and SQ could use a remaster but the show still Holds up to a point. If you a fan of this Show, now is the time to get your hands on the complete series for a Decent Price. 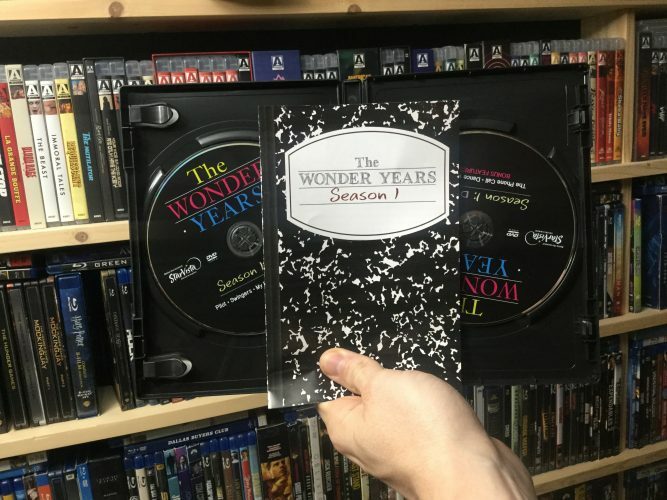 THE COMPLETE SERIES BOX SET OF THE WONDER YEARS! 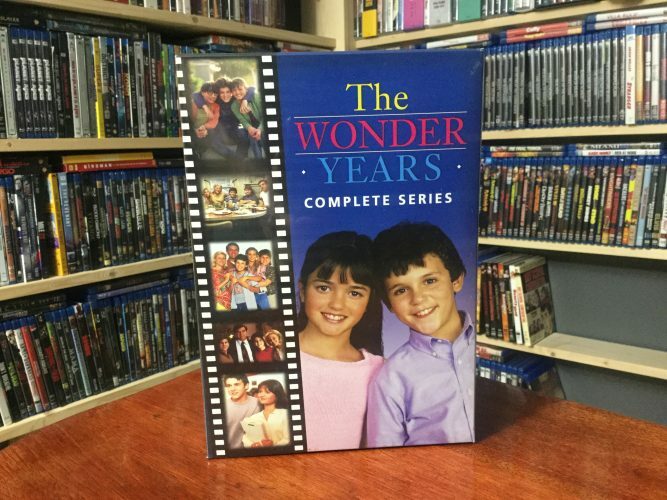 For six seasons, THE WONDER YEARS captured the angst of growing up in suburban middle-class America in the late ’60s, as seen through the life and times of Kevin Arnold (Fred Savage). From his first kiss with Winnie Cooper (Danica McKellar) to his friendship with Paul Pfeiffer (Josh Saviano) and the ups and downs of the Arnold family, fans shared in laughter, love, and loss, but above all, wonder. Each episode of this award-winning show weaves cultural events and music into the storylines. Through it all, Kevin gets by with a little help from his friends Winnie and Paul. Music: Part of the appeal of this award-winning searies was the soundtrack! Hear over 300 classic period songs as they were featured in the original broadcasts, including artists such as Jimi Hendrix, Bob Dylan, Joni Mitchell, The Byrds, Simon & Garfunkel, Aretha Franklin, James Taylor, and of course, Joe Cocker‘s unforgettable theme song.